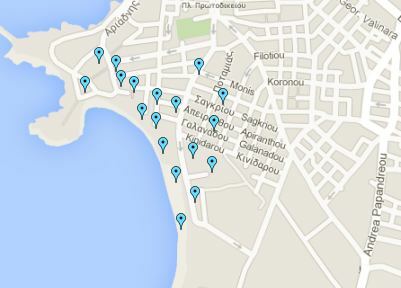 Naxos Town (or Hora) is the capital and the port of the island. It is a beautiful town, very picturesque with distinct character and style. It has tiny roads, alleys, archways and old houses, in and around the old Venetian Castle. 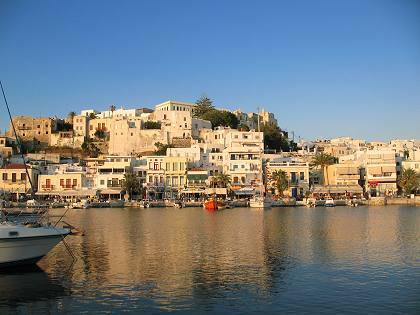 Behind the waterfront an extensive, almost Medieval Old Quarter stretches up the hillside where Kastro (Castle) is. Walking around and in the Castle is a must while the views will take your breath away. 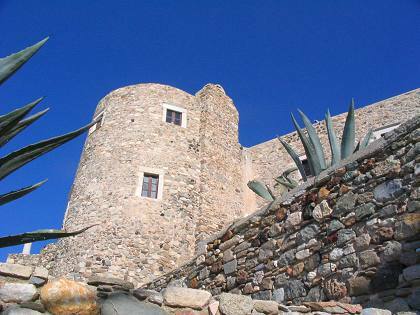 Walking around Kastro is a must while the views will take your breath. The old town up on the hill is divided into two neighbourhoods, Bourgos where the the Greeks lived and Kastro (Castle), residence of the Venetian-Catholic nobility. North of the port, a pathway stretches out to the islet of Palatia and the unfinished Temple of Apollo (6th century BC). 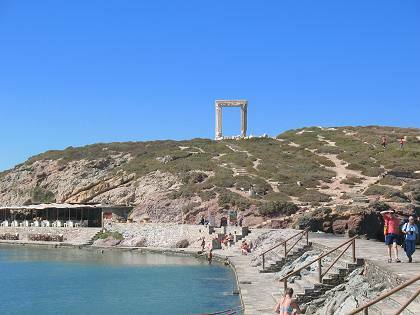 Portara -the place to visit-, is the huge entrance (6 metres height, 3.5 metres width) to the temple that Naxos tyrant Lygdamis began building on Palatia Islet. Further north of Palatia (in Grotta) are remains from the Mycenaean period. 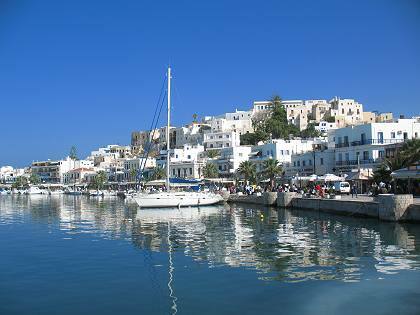 Naxos Town offers all kind of entertainment and shopping.